Amber Portwood of MTV Teen Mom fame is facing some new troubles today stemming from troubles in her past. Portwood was originally arrested for attacking her daughter’s father Gary Shirley and was sentenced to two years in prison. She was allowed to forgo her jail term if she met probation requirements. 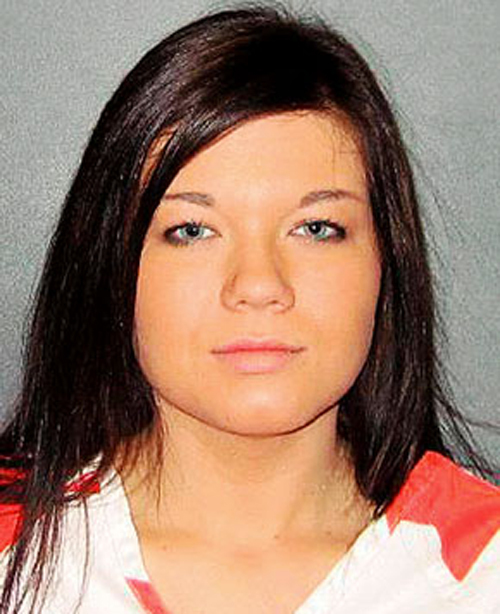 Now, Amber Portwood might end up with as much as those initial two years in prison for violating her probation. According to TMZ, she has literally violated every single term under her probation orders. Portwood, who is 21 years of age, has not gotten a GED as she was ordered to. She has not finished 6 months worth of anger management evaluations and courses. She did not install a ten thousand dollar college fund for her young daughter. She has not been staying sober. She physically attacked someone one month ago in a restaurant. And on top of it all, she did not pay her probation fees. In January, Portwood will report to a courtroom to speak with the judge presiding over her case to explain her behavior. If the judge chooses to do so, he can lift the suspension of the prison sentence and send her to two years behind bars.